It was quite fitting that Tristan Phillimore’s Coppid Owls team made it to the Final of the Family’s tournament. They never looked in danger of losing it either, with a strong start from professional Greg Keyte and son-in-law Tomas Fernandez that kept the score board ticking along. Tristan himself managed to add to the team’s goal tally a few times as well. Peter O’Rorke and Michael Mylonas’s team put up a valiant fight, with professionals Nick Pepper and Matt Everetts, and even though they won the last chukka, time ran out for their comeback. BPP – Went to Matt Everetts lovely grey, aptly named ‘Ghost’ and MVP went to Coppid Owl’s Vinnie Whiteley. Lady Phillimore presented the prizes. This was run as an American with the 3 teams. The Winners after all matches were Santa Helena, who won both of their matches. Pedro de Lamare and Daniel Otamedi linked up well after narrowly missing out on the Final spot yesterday and kept their team in front for both matches, with the help of teams mates Clive Posselt and Reilly. Ojo Caliente / Mount Loft were the Runners up. Pancho Torres and Matias Carrique are always consistent and Georgina Brittian and Ana Escobedo are tough opponents as well making for a good all round team. 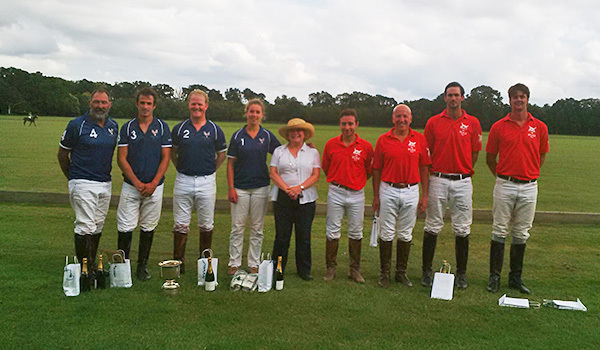 CC Polo Club were the 3rd Runners up. 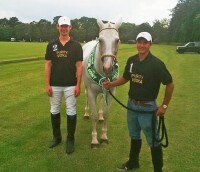 Miguel Ayala and Fabio Lavinia are regular team mates and always provide open running polo, but the ball refused to go between the posts and a couple of missed opportunities was all it took. Team mates Hermeth and Kana were useful back ups but sometimes it is just not quite your day. 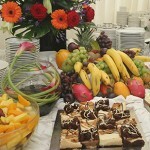 © Copyright 2019 Binfield Polo Club. All rights reserved.